I found these on Pinterest. I know, I know, I’m seeking counselling for my addiction. Anyway, I couldn’t resist them. Heat the cream and sweetened condensed milk over medium-low heat until it starts steaming, stirring periodically. Remove from heat and add chocolate. Stir and let sit for 10 minutes, then put back on medium-low heat and stir with a whisk until chocolate is completely melted and shiny. Pour chocolate into 8×8 pan lined with parchment and spread chocolate as level as you possibly can. Let sit overnight (at least 12 hours). Run a knife under warm water and cut into 1 1/4 inch blocks. 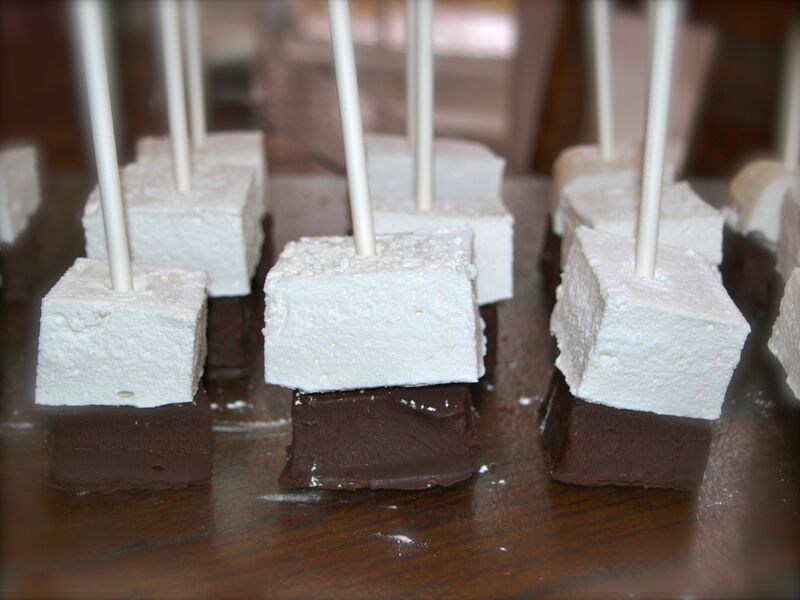 Place homemade marshmallow on top and place lollipop stick through centre. 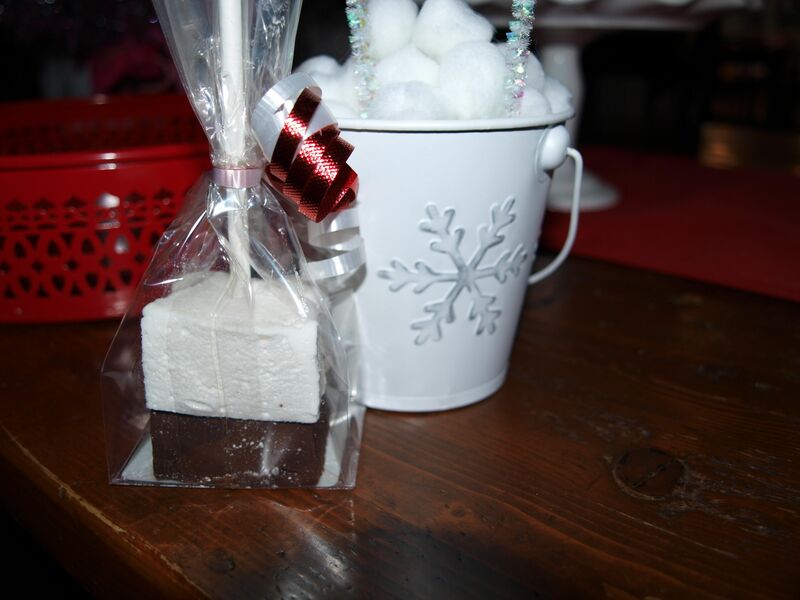 Wrap individually in clear cello bags and tie with ribbon. To enjoy, stir in a large mug of hot milk.